Spring is the time of colors and blooms. There is no better way to add color to your gardens by planting some rose bushes. Roses, after all, add color and fragrance to any garden. If you have planned to include roses in your garden, you need to consider choosing the best soil for growing roses. Preparing the soil for rose bushes is very important. Here are some helpful tips. 1. Choosing the Rose Soil: While choosing the rose soil, look for a soil with organic materials, air, and water. Loam is one of the best choices of soil for rose bushes. As this soil includes all these four main elements and 50 percent of air, it is a perfect soil choice for rose bushes. Loam also contains 46 percent inorganic material such as sand, clay, and silt, and 4 to 6 percent organic materials in total. This porous soil absorbs water adequately and fast. 2. Maintaining the pH: Maintaining the pH of the rose soil is equally important. The optimum pH to grow rose bushes is 6.5. If the soil pH is too alkaline or acidic, it can affect the growth of the rose plant. If you notice any foliage coloration or change in the plant growth, it could be because of the soil pH level. Maintain the pH at an optimum level by adding agricultural limestone. This helps to make the soil less acidic. 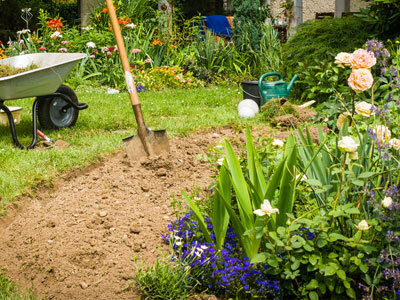 If the loam you have for your rose bushes contains more clay, you will need to add an adequate amount of ground agricultural limestone for maintaining the pH level. To lower the pH level of the alkaline soil, you can choose sulfur or aluminum sulfate. The latter one is a better choice as it changes the soil pH effectively and quickly. Adjust the amount of the additives to maintain the pH at an optimum level. 3. Enriching the soil: Use peat moss to enrich the loamy soil if it contains more clay. Mix in organic compost, peat moss, dried leaf mold, and manure to amend the soil. If you are using a pot, then add the organic matter to the bottom before planting. If not, then prepare the rose bush bed as per the following instructions. 4. Keeping the soil healthy: The role of micro-organisms in the soil is very important. They keep the soil condition healthy by breaking down the organic materials and releasing nitrogen. To keep the soil microbes happy, add in alfalfa meal, decomposed organic matter or compost, and kelp meal. These ingredients will provide nitrogen, phosphorus, amino acids, potassium, and necessary vitamins to the micro-organism population in the soil. In addition, these materials will improve the soil condition and quality too. 5. Preparing the potting mix: Roses grow well in an airy and light soil. You can look for a good potting mix of loamy soil in your local garden center or prepare the soil by adding adequate portions of all the ingredients that loamy soil usually includes. Usually, a good loamy mix contains two shovels of mulch, ¼ cup sulfur, and ¼ cup treble superphosphate. If you are using organic matter, then add in a mix of peat moss with organic compost and cow dung. To make the soil airy, you need to add 1/3 cup of sharp sand and topsoil to the above mix. As roses prefer the soil that drains well, adding sand to your potting mix makes it suitable for your rose bushes. 6. Moistening the soil: Adding a layer of mulch on the top layer is highly recommended. A 2-inch layer of mulch helps to keep the rose bushes healthy by keeping the soil moisture level at an optimum level.